28 | June | 2016 | "Oh When The Saints"
Football management might seem an incestuous affair from the internal English perspective, but given that managers other than Roy Hodgson, Roberto Di Matteo and Tim Sherwood do actually exist, the notion of a lack of available managerial talent is clearly inaccurate. This is clearly evidenced by ‘The Saints’s’ impressive ability to regularly and successfully replace their outgoing managers. 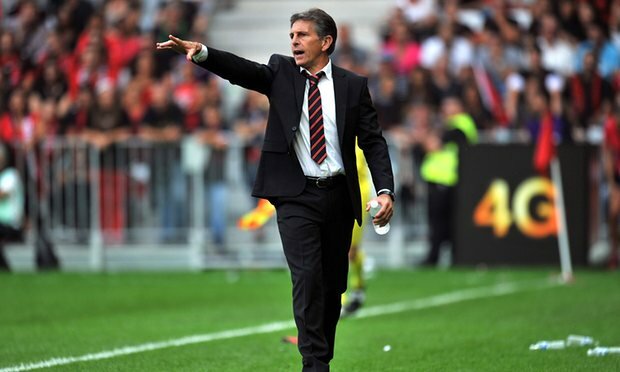 The latest posited arrival is expected to be the recently departed OCG Nice manager, Claude Puel. Manchester United supporters might remember Puel for an incident back in 2007. Puel, then Lille manager, appeared to encourage his players to leave the field of their Champion’s League tie with Manchester United, after Ryan Giggs had scored a goal from a quickly taken free-kick. This drew stern, if slightly amused, comments from Sir Alex Ferguson after the game – and served as a televised showcase of Puel’s passionate – if slightly misjudged, in this case – commitment to winning. 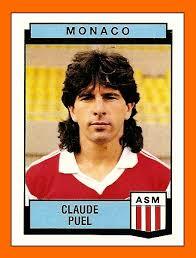 As a player– a defensive midfielder – Puel was a one-club player, spending his entire senior career at Monaco. It was here that he formed his ongoing relationship with Arsene Wenger, a key figure in his transition from player to coach. Arriving at Monaco in 1987, Wenger didn’t immediately take to Puel, initially unimpressed with his limited technical ability. Yet, Puel’s intense desire to win – since witnessed in his various managerial positions – eventually won Wenger over, and Puel became his faithful, on-field lieutenant, rallying and relaying, displaying a keen tactical nous. As Puel reached the end of his playing career, Wenger encouraged the veteran to take on additional responsibilities at the club, and spend more time with the younger players and youth teams. Initially as a fitness coach, then, manager of the reserves, Puel transitioned into a full-time coaching role. As fitness coach, Puel was key in developing Henry’s physique and athletic ability. At the time, Henry wasn’t seen as a striker, and as such, spent a great deal of time with Puel, labouring, training for a role on the wing. 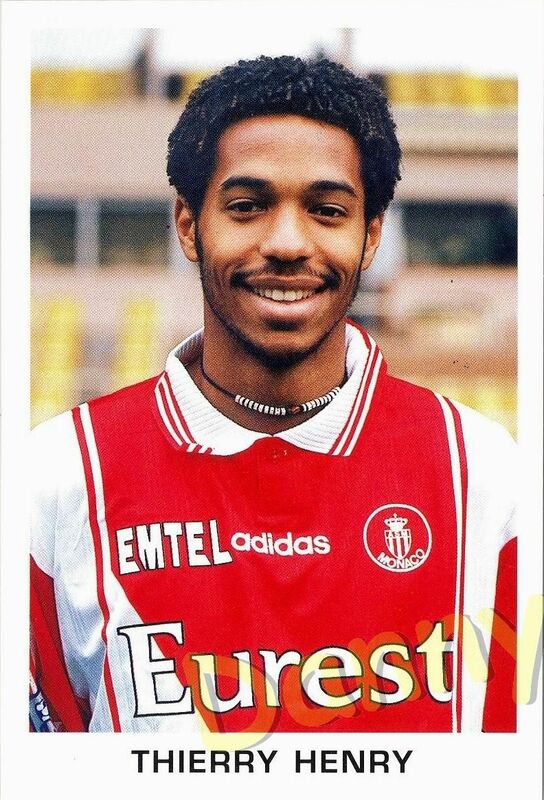 After a transfer to Real Madrid fell through, and a goal drought on the pitch, Henry felt alone at Monaco. In his autobiography, Henry recognised Puel, ahead of his manager, as the man who put him “back on track”. 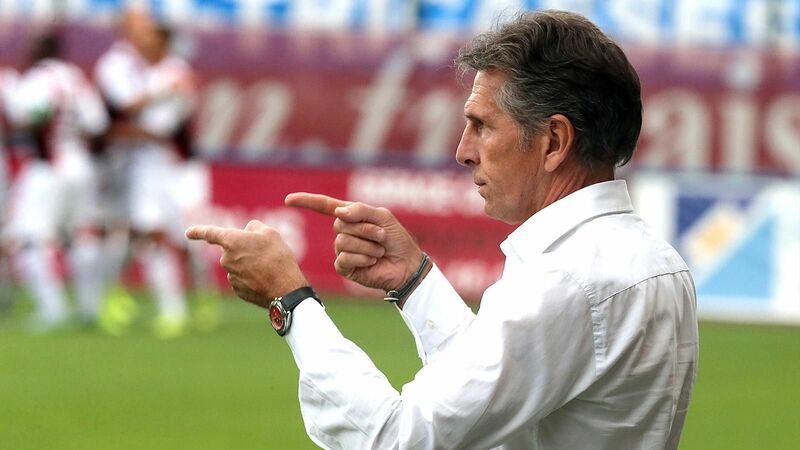 After managing the senior team at Monaco, winning Ligue 1 in 2000, Puel had varyingly successful spells at Lille and Lyon. He found himself at Nice, in 2012, where his approach was met with quantifiable, deserving success. In 2014 the club finished 17th in Ligue 1, 2015; 11th, last season; fourth. With a degree of such measurable improvement, it is difficult to deny Puel’s talent as a coach. So, how did he manage this? As you’d expect from any Southampton target, Puel puts a great deal of emphasis in youth. His 2015/16 Nice squad had the lowest average age in all of Ligue 1, and, as you might imagine, Puel is also credited with handing the greatest number of appearances to his youth players, throughout the division. 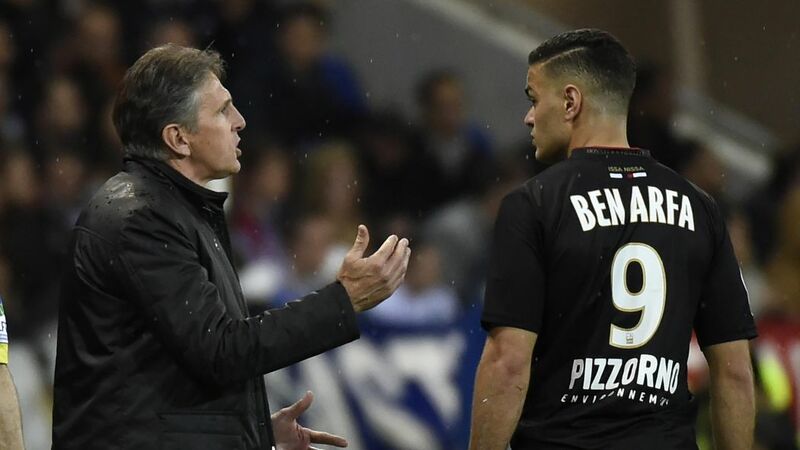 With one of the smaller budgets in Ligue 1, this aspect of Puel’s management had been key to Nice’s recent success – a demonstration that the Frenchman can work within a confined budget. Puel is well known in France for his fast paced, pressing game. A fan of passing (what defensive midfielder isn’t? ), and versed in attacking fluidities, his overall style of play is similar to Mauricio Pochettino’s controlled chaos and frantic composure approach. A dimension of his game likely to be adapted at Southampton is his penchant for two up-front – but beyond formation alterations, Puel fits the Saints’ ethos like particularly well fitting glove. A potential spoke in the wheel of Puel’s transition into English football will be his lack of experience outside of France. At 54 years old, this will be the Frenchman’s first job outside of Ligue 1. So fiercely grooved to the pace of French football, there’s every chance he could be panting by January. Having said that, his Champion’s League experience is key – not only for our ambitions to reach the highest stage of European football, but for widening the range of Puel’s own portfolio. A lack of match winners at St Mary’s could be decidedly more of a problem. With Sadio Mane leaving today for Liverpool, the club are losing their most emphatic player. Mane made a tangible difference to Southampton’s ability to compete, as the best players so often do. Having managed Hatem Ben Arfa at Nice last season, Puel will know this only too well. Ben Arfa’s success at Nice reflects both positively and neutrally on Puel. Positively speaking, Puel is one of the few managers that Ben Arfa has not fallen out with in his career. The French manager entrusted Ben Arfa with responsibility, which was more than met, and suddenly, the forward was showing all the signs of that long-mentioned ‘genius’. His contribution to Nice’s season was significant, a sizeable deciding factor in their fourth placed finish, yet whilst Puel must take some of the credit for this, it can also reflect neutrally. It should be noted that Ben Arfa sat out of football for six months before joining the French club. It’s arguable that this sobering experience was the influence that set him straight. Puel will be credited, but to what extent the Frenchman received Ben Arfa in the right place at the right time is debatable. It’s clear that his contribution polished Nice’s achievement last season, adding the sheen to an impressive campaign. How much of this we can attribute to Puel is, again, arguable. Having said all that, his profile is near-perfect for Southampton. His promotion of youth players, ability to work with a smaller budget, and philosophical approach gel seamlessly with Southampton’s specifications. Pressingly, who would doubt their acumen? It says something that the fans aren’t at all bemused by their club turning away Manuel Pellegrini in favour of an unknown French entity. In the wake of Nigel Adkins, Mauricio Pochettino and Ronald Koeman, Claude Puel will predictably fill that default avatar vacancy with gusto. His appointment will be, predictably, met with warmth from the stands. And he will, predictably, continue the fine work of his predecessors, with the club ensuring that he moves in the same direction. With Claude Puel at the helm, the accustomed and continued ascendency of the south coast, will go on.